RSJ Security has a dedicated team with many years of experience working in the main fields of CCTV, Door Entry, Intruder Alarms and Access Control. Click on any of the service areas below to find out more about how we go about giving you the peace of mind that comes with expert security installations and advice. RSJ Security Systems can provide specially designed intruder alarm systems for domestic properties, small and medium commercial organisations, as well as large corporate enterprises. Our systems are effective in the deterrent of intruders and protect you most valuable assets. Whether you need it for a residential building, your office, home, or for your gates at the end of the drive, we are here to help. Providing professional, reliable and design focused systems to supply you with the perfect hassle free solution. We offer full support of any questions you require answering. All businesses and domestic properties need to keep unwanted visitors away from their property. With RSJ Security Systems, you can be guaranteed the best technical service and advice there is on the market. We have experience with projects ranging from a single door entryphone system to multiple door integrated security systems. We work on a huge range of projects from domestic security arrangements to business protection. We have added some case studies to our website to give you an idea of the types of projects we do work on and how we can help you. We are experts in security however we work alongside and recommend many partners, who may provide us with hardware, software or additional specialist services. Only by working in partnership with these market leading companies can you be satisfied that you are getting the expertise in every field that you, your family and your business deserve. Cooper Security Ltd is one of the world's largest manufacturers of security equipment for all types of commercial and domestic premises. Cooper Security is behind two of the most established and respected names in the European security industry, Menvier Security and Scantronic. BT Redcare’s vision is to be the leader in secure intelligent monitoring and tracking. We are doing this by delivering excellence in the areas of alarm monitoring, CCTV, machine monitoring, RFID & supply chain management, secure mobile data solutions and vehicle tracking. Southern Monitoring Services Ltd (SMS) was formed in 1983 and is one of the UK's largest, most comprehensive independent Alarm Receiving Centres (ARC) and Remote Video Receiving Centres (RVRC). SMS has created Virtual Call Centres linking the capability of both ARCs, providing quality assured levels of service. 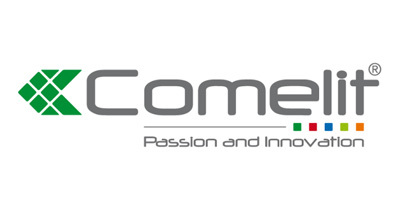 Comelit offer a brilliant and simple system which can be used even with existing cables. The range of style with Comelit is second to none. They offer vandal resistant, brushed effect, chrome effect and even an old-style approach. The variety with Comelit is brilliant and can suit almost any situation or style. They also come in a range of sizes, with a touch screen option too. They offer simple audio options, black and white or full colour video choices. 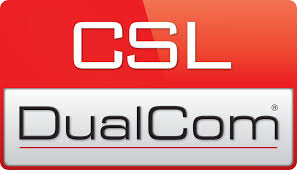 CSL DualCom are the UK Market leading supplier of dual signalling systems and the choice for hundreds of thousands of professional security installations. The DualCom GradeShift® range, from CSL DualCom Limited, is an intruder alarm signalling device that ses any UK mobile network as well as your telephone and/or IP path; to transmit intruder, fire and personal attack signals at high speed. RSJ security systems was set up by Ron Slade in 1986 to Supply, Install and Maintain high quality electronic security systems. 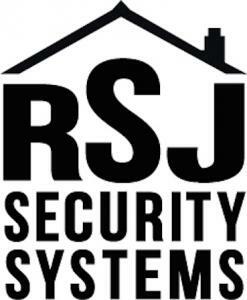 RSJ security systems are based in Epsom surrey. Ron Slade has been employed in the security industry for nearly 40 years and in that time has worked as an installation and service engineer supervisor surveyor and manager before starting RSJ Security systems. In September 1991 he was joined by his son Steven Slade who has also been working in every aspect of the business, so between them they have accumulated a wealth of knowledge and experience. RSJ Security systems engineers each have a excellent back ground in the security industry. RSJ Security have achieved recognition by the SSAIB (Security Systems and Alarm Inspection Board) and are UKAS approved this means installations are recognised by both the police and Insurance Companies. RSJ Security Systems offer the full package when it comes to your security. Services include, but are not limited to: installing, maintaining and servicing all new security products. We also take over existing systems, where you as the customer are not currently happy with your current provider or maybe you currently do not have a contract or point of call when you have a fault. With full reassurance we can offer a call out service which will operate 24 hours a day so there is no need for you to worry. Prices and packages are available on request. We understand that the requirement for every customer is different and we strive to make your security solution tailored to your exact needs. RSJ Security systems was set up by ron slade in 1986 to provide and maintain high quality electronic security systems. Ron has been In the security business for over 40 years, Starting as an engineer, Installation manager, Supervisor before starting RSJ. In September 1992 he was joined by Steven his son who has now been in the industry for over 20 years and has been working in every aspect of the business. Steven slade has been working in the since leaving school and now for over 24 years and was also a partner in RSJ security before becoming a director in 2009. We are a family run business offering a professional, efficient quality service welcoming both commercial and residential clients. We have over 60 years of combined knowledge in the security business. All our enginners have a wealth of knowledge in the security industry.